Architecture | Custom & Private New York Tours, Inc.
Additional highlights include: You’ll get the scoop, the drama, the players, creators and chutzpa that’s propelled New York to reach for the sky, breaking the world’s building height record seven times! They’re great stories to be told. You’ll hear the story of the drama and the struggle behind the brick and mortar; whose idea to build The Empire State Building? What’s the story behind The Trump Building on Wall Street? 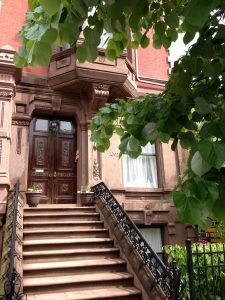 What exactly is a brownstone home and why are they brown? Why have public housing projects been a disaster regarding design and public safety? Marvels of bridges and tunnels and innovative characteristics. View the new “Super Tall” buildings including 220 Central Park South with a triplex penthouse that sold for $250 million! Sorry I cannot take you there. I’ve lost my key 🙂 ! 432 Park Avenue is currently the tallest building in the Western Hemisphere, but not for long.